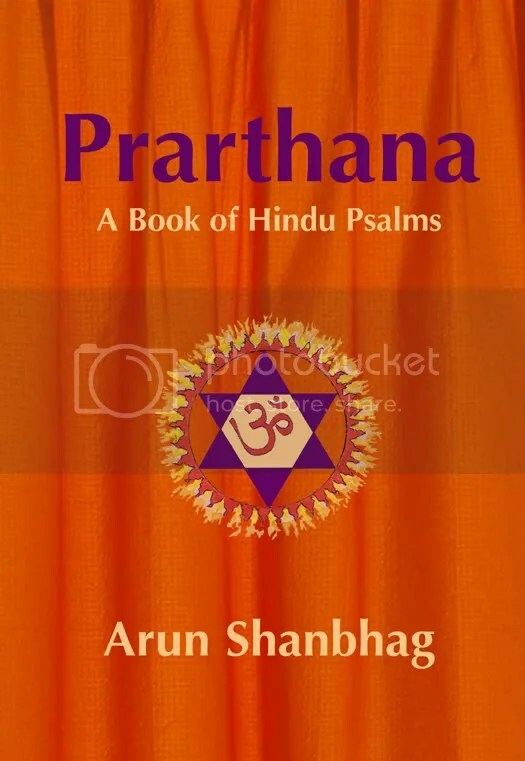 Prarthana is a compilation of sacred hymns from the Vedas, Upanishads and Puranas. In Prarthana, I have presented 36 common prayers in their original Sanskrit (Devanagiri) script, along with romanized transcriptions and modern English translations. A commentary in lay English offers a brief background and reflections on how each prayer applies to our daily life. Visit ArunsPrarthana.com to read prayers from the book – eventually, the entire book will be online. where can i get Kuladevatha sthotra mp3??? The best place is the Kuldevatha temple itself. Sometime, they may have it on their website. If there is a local GSB muth, they may have some collections. Which is your kuldevatha? I can see if I have anything. Hanuman says i will be delighted if u’;ll chant ram ram jai siya ram..!! Shani says i will be delighted and will never harm you with sade sati if u’ll chant hanuman chalisa and meditate Bhagwan Rama.! I chanced upon the last copy that Strand had of your wonderful book. It is one of the best I have ever read. I use it every day. Like you, I also grew up reciting prayers with my parents which I scarcely understood. I love your translation style, and hope you will write much more. Thank you Satya for your kind and encouraging words. I am currently working on my next book and when i get stuck, its words from folks like you that keep me going. Many thanks. And yes, I will get more stock to Strand Book Stall. lets share our things ..if ull like d experience you can publish to ur book..
Perhaps you can clarify what you mean. You can send me mail at arunshanbhag at gmail. Wishing you the best in your journey. Please email me at the earliest. can you call the Strand book stall in Bangalore? I was just at their Mumbai store and they have several in stock. And thank you for your enthusiasm for Prarthana. Strand Book Stall carries it, but am not sure if their Bengaluroo office has it. Just them to get it from their Mumbai office. The contact at their Mumbai office is Mr Premanand Shenvi. RAMACHANDRA – Mother Koushalya calls him.